3 New Coach Mistakes That Sabotage the Success of Their Life Coaching Businesses Are You Being “Too Nice” with Your Life Coaching Clients? They don’t fully understand the difference between manipulative sales tactics and authentic, heart-centered enrollment. Are YOU clear on the difference? The fact is, having enrollment conversations with potential clients is always going to be a part of your business. For these people, when they hear the word “sales,” they think of being taken advantage of, or of being talked into something they don’t really want. But the truth is, it isn’t really the selling itself they dislike – it’s the manipulation that some people infuse into their sales styles. Have you ever told a friend about a great movie you saw, or restaurant that you tried and loved… and they were so enticed by the way you shared what you’d found that they went and watched that movie, or ate at that restaurant? Or have you ever given someone advice while coming from a place of caring and service, and the person you spoke with actually ended up following your advice? In situations like the ones I shared above, you weren’t trying to manipulate the person you were speaking to. You weren’t trying to convince them that they needed to go and do something, for example. You were simply sharing something you were passionate about, and that you genuinely thought could help them or give them some form of enjoyment or benefit. RELATED: What is a life coach? This is exactly what heart-centered enrollment is all about! If you’re a student of transformational principles, and talking about these principles is something that you automatically feel inspired by and passionate about, then the potential clients who you could really help will actually WANT to be in that conversation with you. They actually become fun, powerful conversations about possibilities, and invitations to step into a greater life. Forbes magazine recently called life coaching “one of the fastest growing six-figure careers” in the United States… and this growth is happening all over the world! But, before you invest your time, energy and resources in pursuing life coaching as a full-time or part-time career path – it’s important to make sure that you were meant to be one. And as a result, they often jump at the chance to say “YES!” to investing in themselves and their dreams, by means of saying “YES!” to enrolling in a coaching program with you! 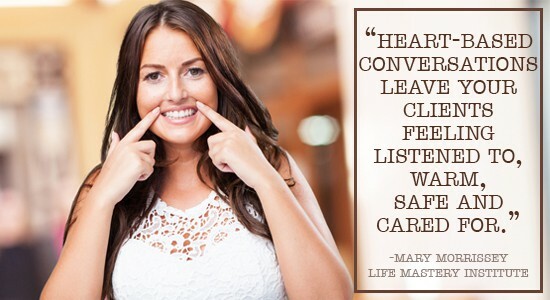 At Life Mastery Institute™, the premier training institute for heart-centered, transformation life coaching, we train life coaches with this proven formula. Once you’re in conversation with a potential client, it’s important to begin exploring and speaking about what’s most important to THEM. It’s crucial that you remember this, as some life coaches (and entrepreneurs in general) have a tendency to self-promote, self-promote and self-promote, which can actually turn potential clients off! What challenges are they facing right now? What would they truly love to be, do, have and give in life? And would they love some help and support in bridging the gap from where they are, to where they would love to be? If you’re not able to help your potential client make a decision for a greater life in that conversation, you won’t be able to help them make decisions about the things they’ll need to do to move their results from where they are now to where they want to be, as you continue to coach them. What are YOUR feelings about sales? Do you see enrollment conversations with potential clients as a form of manipulation? Or do you see them as invitations to step into a greater life? Go ahead and share your thoughts with me in the comments below. Join the conversation – I’d love to hear from you! 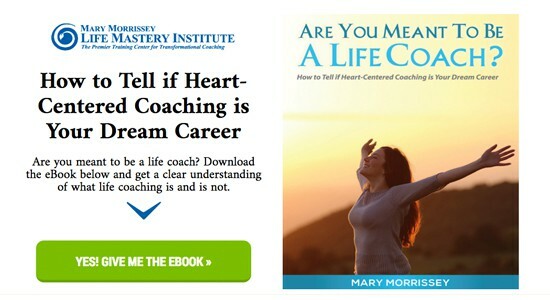 U would love to learn how to be a life coach. My friends come to me all the time asking for my advise. I only have one problem with giving it I’m straight to the point I don’t suger coat anything. That seams to be a down fall of mine how do I get over this. not by your solution but theirs?